Playcraft makes an affordable vintage Skee Ball machine for home use. The 8 and a half foot table is a perfect addition to any game room. It has electronic scoring and a ton of cool features. I’ll list another good option as well, so you can pick the one that best fits your price range. Both of these products are for sale on Amazon. 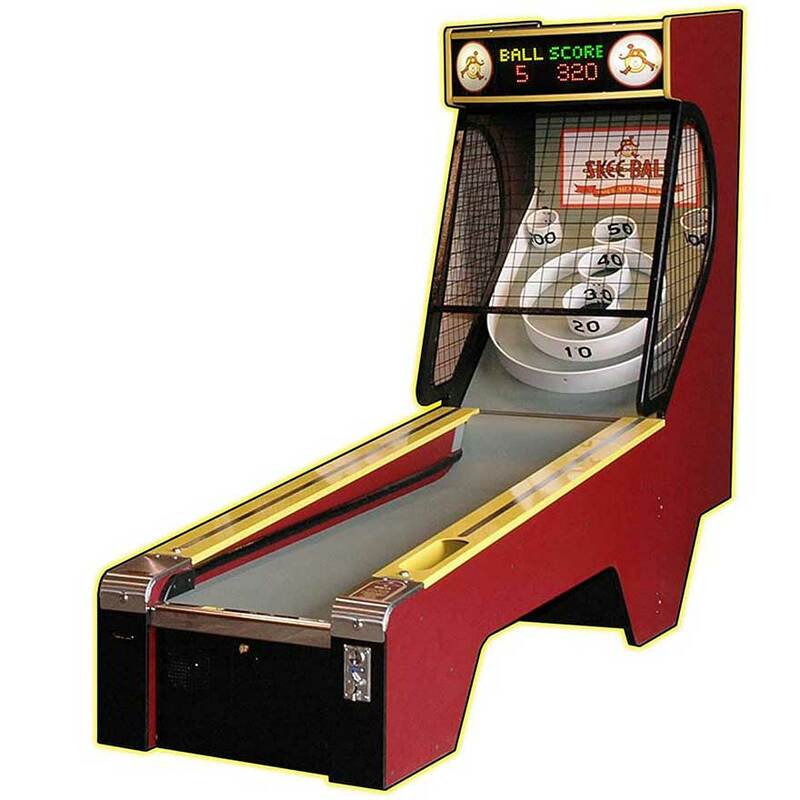 An arcade style Skee Ball machine is an awesome gift idea for anyone with a game room or someone who enjoys arcade games. There are two systems that I would recommend. 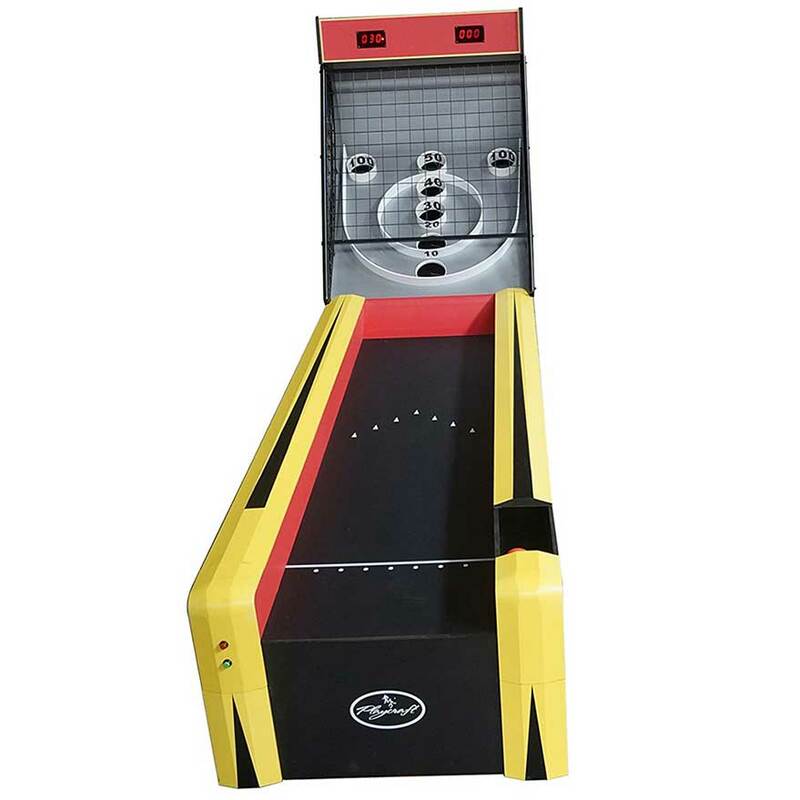 The first is made by Playcraft, it features a durable 8.5-foot table, 7 goal targets, LED lighting around the targets, six balls, an automatic ball return, and a two-player automatic electronic scoring system. This system was specifically designed for home use. The kit comes with everything needed to play. There is some assembly required, I think that goes without saying. The second Skee Ball Table I would recommend is a little more quality, but quite a bit more expensive. If you can afford it, this is a seriously impressive table. This table is a little larger, coming in a 10ft. It has a classic and vintage design with a ton of excellent features. It has an electronic display to easily keep track of the score and the number of balls rolled. There are two pockets where you can score the max points, 100, but these holes are hard to hit! The game often comes down to strategy as much as still. If you’re looking for a vintage Skee Ball Machine for sale, I think these are both great options. Let us know if you have questions in the comment section below. Thanks for visiting Home Run Gifts!